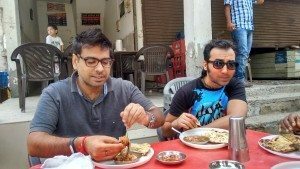 Food trip to Amritsar ! 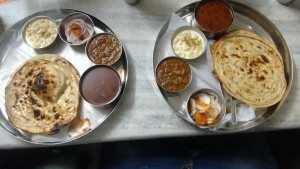 Food trip sounds different, but people who have been to Amritsar will certainly vouch for it. 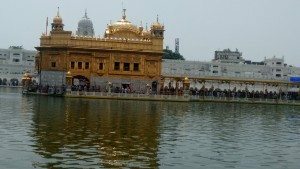 Amritsar is home to the Golden Temple, the spiritual and cultural center for the Sikh religion. 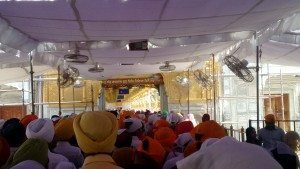 This important Sikh shrine attracts more visitors than the Taj Mahal with more than 100,000 visitors on weekdays alone. Apart from its religious fame, city of Amritsar is also known as food capital of India, especially if you relish punjabi food. Our trip to Amritsar was also more about enjoying the sumptuous punjabi food than anything else. 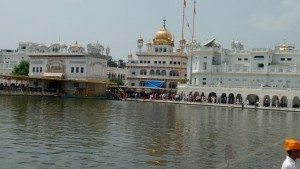 We took the Shatabdi express from Delhi to go to Amritsar, and immediately after checking into hotel we started exploring the food lanes of this great city. 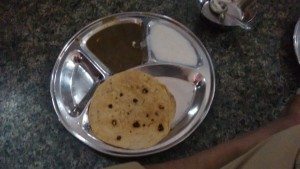 If you are in Amritsar, try Poori-Chhole with Lassi at Kanha Sweets or go to Kesar Da Dhaba, one of the most famous restaurant/dhaba and try Kadhi, daal tadka, daal makhni, chhole, rajma, some paneer dishes, kulche, naan etc. We tried them all and loved it all. Its yummy, delicious and filling, with butter and loads of butter every where :). After all a trip to Amritsar does not not called food trip without any reason. Trip to Golden Temple was obviously the first thing to do, and that is what we did. 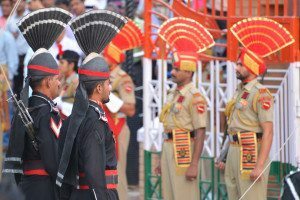 Later we had the plan to arrange a pass for Wagah border ceremony. 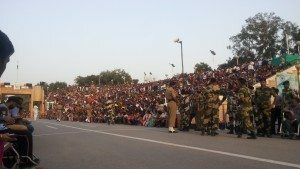 The lowering of the flags, or the Beating Retreat ceremony at Wagah Border, is a daily military practice done by security forces of India and Pakistan have jointly followed since 1959. 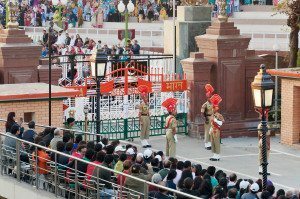 This ceremony takes place every evening before sunset at the Wagah border, which was part of the Grand Trunk Road, the only operating road link between these two countries for some time. 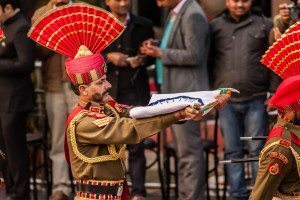 The ceremony starts with a blustering parade by the soldiers from both the sides, and ends up in the perfectly coordinated lowering of the two nations’ flags. 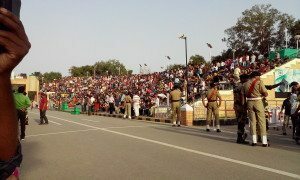 After doing some jugaad, we were able to get the pass for the ceremony, and watched this life time experience. This post has already been read 1311 times!